Donald Trump has had a very hard time getting anyone to perform at his inauguration, but it looks like he’s somehow managed to snag a couple people more well-known than Jackie Evancho. CNN reports that Trump has secured your Aunt Carol’s favorite New York City experience, the Radio City Rockettes, to join the aforementioned Evancho and also the Mormon Tabernacle Choir, making for a very...interesting event, to say the least. 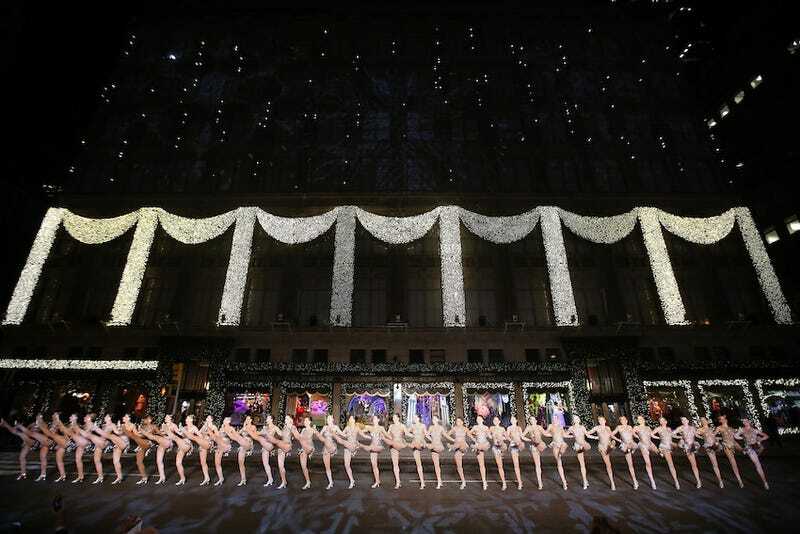 “We’re honored that the Rockettes have again been asked to perform in the upcoming inauguration festivities,” reads the statement from James L. Dolan, the executive chairman of the Madison Square Garden Company. What fun. Getting performers to commit to the “inauguration festivities” has been quite the challenge. The list of celebrities that have turned down the illustrious opportunity to perform their craft while keeping a wary eye trained on the new President includes Celine Dion, Elton John, Kiss and Garth Brooks. Sad! Perhaps speaking to the fact that famous people aren’t particularly interested in celebrating his ascent to power, Trump took some time out of his busy schedule tweeting about nuclear war to acknowledge that fact. As of Thursday, the Beach Boys had been asked to perform but had yet to make a final decision. We’ll see how that goes.